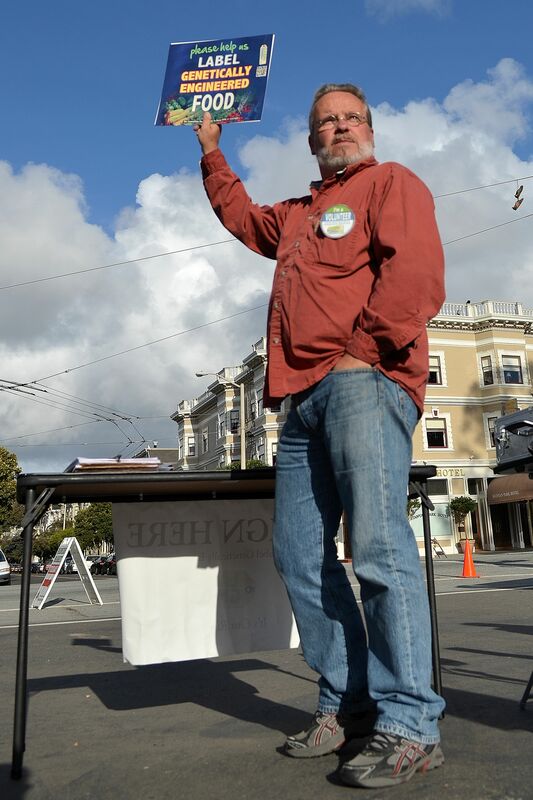 The Upper Haight Farmers' Market is made possible by the Haight Ashbury Improvement Association. Every week happy health-conscience shoppers swarm the lot where Stanyan St. and Waller St. meet in hopes to find delectable goodies grown right here in California. 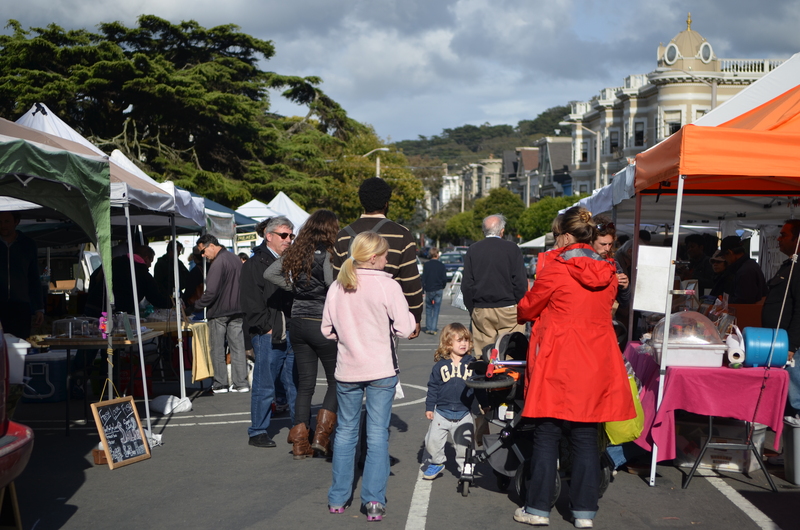 Luckily, the day that started out gloomy, brightened up with the sun radiantly showing through the clouds just in time for the Upper Haight Farmers’ Market. The Pacific Coast Farmers’ Market Association is a non-profit community service organization that assembles the Californian companies to come together at various markets. Locals come for the fresh California produce. Walton says that they try to teach their customers to eat seasonally since they are shopping for locally produced foods. He explains that most of their shoppers tend to buy from business that grow and/or produce their product within 100 miles which helps with them adapt to the seasonal eating. The farmers’ market had a great variety of foods including authentic afghan cuisine from a company called Bolani. Then there was Flour Chylde Bakery that specializes in gluten-free cakes and torts. Not only was there food at the market, there was also a local line of skin-care product called Skincare by Feleciai. Everything at the market was of course California produced and is a way to support the local economy. Also among the contributors was a Labelgmos.org’s representative spreading awareness of genetically modified foods with a ballot initiative. What better place than Haight Ashbury! 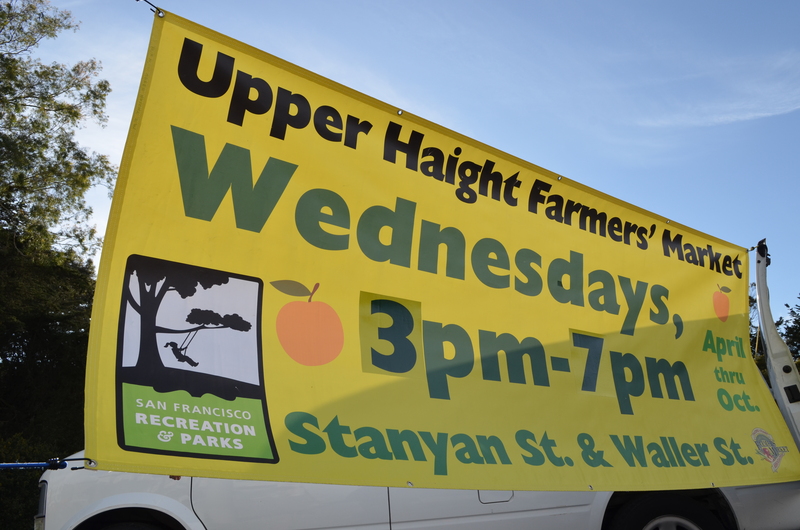 The Upper Haight hosts their farmers’ market every Wednesday from 3 p.m. to 7 p.m. Make sure to check it out as businesses rotate every week. Oh and if you are still hungry… remember Off the Grid serves up dinner time meals at the same location Thursday Nights 5 p.m. to 9 p.m.